FusePLM is a cloud product lifecycle management solution to help hardware engineering and manufacturing firms to manage parts, BOMs, documents, & change process. With the aim of helping engineering companies release products to market faster, FusePLM streamlines their parts, bill-of-materials, documents and change management process. FusePLMs intuitive interface, easy-to-configure Kanban workflows and AI-enabled chatbot, PLMBot are designed to reduce the learning curve and slash setup/training costs. Good management of our bill of materials. Good management of our engineering change orders (ECO). This is the intuitive and low cost solution we were looking for.At NOVUDO, we design products for various industries. Our activities are mainly prototyping. We can't afford an ERP system, but need to manage our designs properly. We knew we were looking for a PLM system. Something to manage the lifecycle of the products we develop. We were even more looking to find an inexpensive SaaS solution in the Cloud for that purpose. We found FusePLM. Period. We got it! All other options were way too expensive and complex. FusePLM gives us the main part of it for a ridiculous annual price, while being easy-to-use. In short: Easy to use, easy to build a custom ECM process, low cost, good support, allow us to manage the BOMs and the changes on our products very efficiently. At NOVUDO, we design products for various industries. Our activities are mainly prototyping. We can't afford an ERP system, but need to manage our designs properly. We knew we were looking for a PLM system. Something to manage the lifecycle of the products we develop. We were even more looking to find an inexpensive SaaS solution in the Cloud for that purpose. We found FusePLM. Period. We got it! All other options were way too expensive and complex. 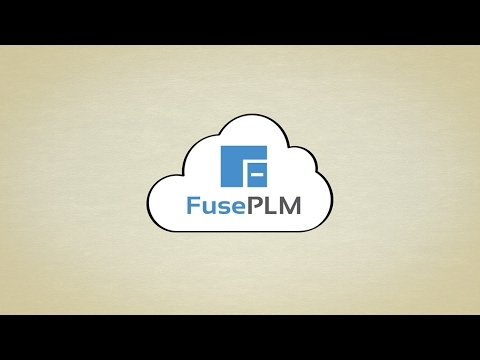 FusePLM gives us the main part of it for a ridiculous annual price, while being easy-to-use. In short: Easy to use, easy to build a custom ECM process, low cost, good support, allow us to manage the BOMs and the changes on our products very efficiently. There is not as much features as within Omnify or Arena Solutions, but there is all you need from a basic PLM. In fact, this is quite powerful for the price we pay. Anyway, we do not need the other extra features of the higher league products! We needed to figure out how to use the dashboards, lists and cards, but this was a fast learning curve and this method inspired from the Kanban proved to be very efficient. There are some features we would like to see in the future that are not in the actual version, but FusePLM are very reactive to improve their product, so it's just a matter of time to get these few tweaks. The changes we asked for are not absolutely required and we are able to manage our processes within the actual product, we just saw possible improvements for our processes and FusePLM team was very interested to take our needs into account for their next added features. Dumping the spreadsheets, better BOM managementWe were looking for something easy to use that would allow us to manage our BOMs at a reasonable price, that did not require months of expensive migration and training, and was cloud-based. FusePLM fills the niche for small engineering firms like ours. The support has been outstanding. The company listens to it's users and is continually updating and improving the product. We were looking for something easy to use that would allow us to manage our BOMs at a reasonable price, that did not require months of expensive migration and training, and was cloud-based. FusePLM fills the niche for small engineering firms like ours. The support has been outstanding. The company listens to it's users and is continually updating and improving the product. I really dont have any significant complaints. I guess if I had to say something, it would be I would like a little more inventory management capability but I understand that is in the works. Pro plan: $20/user/month billed annually (or $30/user/month when billed monthly). Enterprise plan: contact FusePLM for a custom pricing plan. Below are some frequently asked questions for FusePLM. Q. What type of pricing plans does FusePLM offer? Q. Who are the typical users of FusePLM? Q. What languages does FusePLM support? Q. Does FusePLM support mobile devices? Q. Does FusePLM offer an API? No, FusePLM does not have an API available. Q. What other apps does FusePLM integrate with? Q. What level of support does FusePLM offer?